Panasonic Avionics Corporation is the world leader in state-of-the-art inflight entertainment and communications (IFEC) solutions. We drive to deliver results and new medicines to treat and defeat cancer, giving patients hope for the future. Cancer is our cause. Semtech Corporation is a supplier of analog and mixed-signal semiconductors. Genentech, Inc., is a biotechnology corporation which became a subsidiary of Roche in 2009.
mitigate drought and increase agriculture yields and enhance farm revenues. SMART is a manufacturer of legacy and custom computer components such as DRAM memory modules, solid-state drives, and flash-based removable and embedded storage products. Aradigm offer treatment for non-cf bronchiectasis and non-tb mycobacteria inhaled antibiotics patients with extensive drugs delivery in California, USA. SAP Labs, LLC researches and develops software products for the SAP business application systems. The company offers SAP NetWeaver platform and enterprise service-oriented architecture, SAP xApps composite applications, and SAP solutions for radio frequency identification. It supports SAP developer network, a collaborative community of technical experts and business analysts, the business process expert community, application consultants, and process developers. The company has strategic relationships with organizations, such as Stanford University, Carnegie Mellon, MIT, Rutgers, Software Developer's Forum, Stanford Global Supply Chain Management Forum, Intel Corporation, and Microsoft. SAP Labs, LLC was founded as SAP Technology, Inc. in 1996 and changed its name in 1997. The company is based in Palo Alto, California. SAP Labs, LLC operates as a wholly owned subsidiary of SAP America, Inc.
Ducommun is a global provider of innovative manufacturing solutions for customers in the aerospace, defense and industrial markets. The company specializes in electronic systems and structural systems and produces products and components for commercial aircraft platforms, mission-critical military and space programs, and sophisticated industrial applications. Ducommun's mission is to to create value for its customers and find innovative answers to their complex electronic and structural needs. The company was founded in 1849 in Santa Ana, CA. 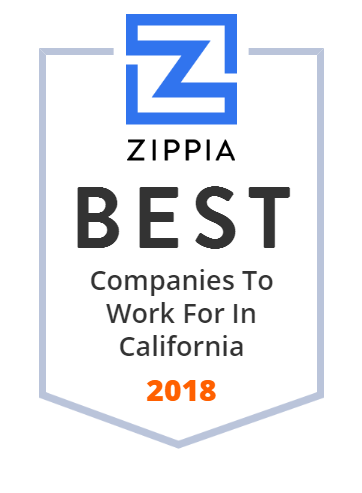 YourPeople, Inc., doing business as Zenefits FTW Insurance Services, owns and operates a digital human resources management platform for small and medium businesses. The company provides payroll, benefits, attendance, time off, and compliance solutions. It offers integrated business mobile applications. Additionally, the company provides broker and technical support services. Its clientele include Swope Design Solutions, B & C Transit, Nerds on Call, and Spear. YourPeople, Inc. was incorporated in 2012 and is headquartered in San Francisco, California. Amicrobe is an advanced biomaterials company developing product candidates for the prevention and treatment of infections. 1507 Pacific Biosciences of California, Inc. is a biotechnology company founded in 2004 that develops and manufactures systems for gene sequencing and some novel real time biological observation. As a company built by scientists, genetic counselors and physicians, we are your partner in genetics and genomics. STEC, Inc. designs, manufactures, and markets enterprise-class solid-state drives (SSDs), flash cards, and flash modules for use in high-performance enterprise applications, and high-density dynamic random access memory (DRAM) modules for networking, communications, and industrial applications. Its solid-state drive products include PCIe Accelerators for ultra-low latency applications; ZeusIOPS SSDs, which provide enterprise-class data storage solutions; MACH SSDs that are small form factor storage solutions for mission-critical systems in various industries; and ZeusRAM SSDs for enterprise-storage subsystems. The company s flash cards and flash module products comprise CompactFlash Memory products that provide PC Card ATA functionality; flash modules, including USB and Serial ATA interfaces; USB flash drives; and single chip drives. It also offers DRAM products, which include dual in-line memory modules (DIMMs), small-outline DIMMs, mini-registered DIMMs, very low profile registered DIMMs, and fully-buffered DIMMs for computing, communications, and embedded industrial applications. In addition, the company provides integrated circuit tower stacked components for thin small outline package and ball grid array semiconductor packages for use on memory modules and within high capacity flash products. It sells its products through direct sales force and original equipment manufacturer distributors in the United States and internationally. STEC, Inc. was founded in 1990 and is headquartered in Santa Ana, California. As of September 12, 2013, STEC, Inc. operates as a subsidiary of HGST, Inc.
Xencor develops superior monoclonal antibody therapeutics to treat autoimmune disorders, asthma, allergic diseases and cancer. Changing how the world pays. Hardware, Software and IT Solutions Provider.